Reminiscent of ancient noble katana, this Regal katana is crafted with the same unrivaled quality that Shinwa is renowned for. The powerful curved blade is hand forged and meticulously wrapped in thousands of layers of genuine Damascus steel, giving each blade its own, uniquely beautiful pattern. ive wanted a katana for years! Not a stamped steel POS. A battle ready Katana. I just got done cutting every plastic bottle in my house! I must say after 20 plus bottles. The blade is still tight in the handle. No nicks or blowouts. I could not be more pleased with it. It looks cool and is functional as a weapon! My wife already told me to put it away before I hurt myself! Its not real black Damascus steel its just been painted to look that way. Im not happy with this sword any more. Response: It is indeed hand-forged Damascus steel. If you are unhappy with your purchase, please contact customer service at 800-735-3326 for a refund or exchange. Very nice, and very dull. Beautiful sword, only bad part is its extremely dull. I can saw it across my arm and it wont leave a mark. All I can say is a pictures worth a thousand words hats off to all those at Shinwa this sword is awesome even better in person then the picture makes it look matter of fact its so sharp I think I might just try to shave with it beats the heck out of a Gillette and they said that was the best a man could get they were wrong its a Shinwa would recommend to anyone weather your just starting out or a avid collector thanks Bud K you'll be seeing me again soon in the future. I own a lot of blades & Shinwa swords are among the best I've handled. Unlike most companies Shinwa delivers as promised by far the sharpest right from the packaging. And definitely not those garbage pressed blanks. I got mine! The photos here do not do this sword justice! It is so beautiful,the detail,the layering in the blade and the handcrafting!The blade is so sharp,be careful,this is not a fake sword only good as a decoration. This sword is a fully functional,deadly weapon,meamt to be used!!! Get one,it's sure to become a family herlome. 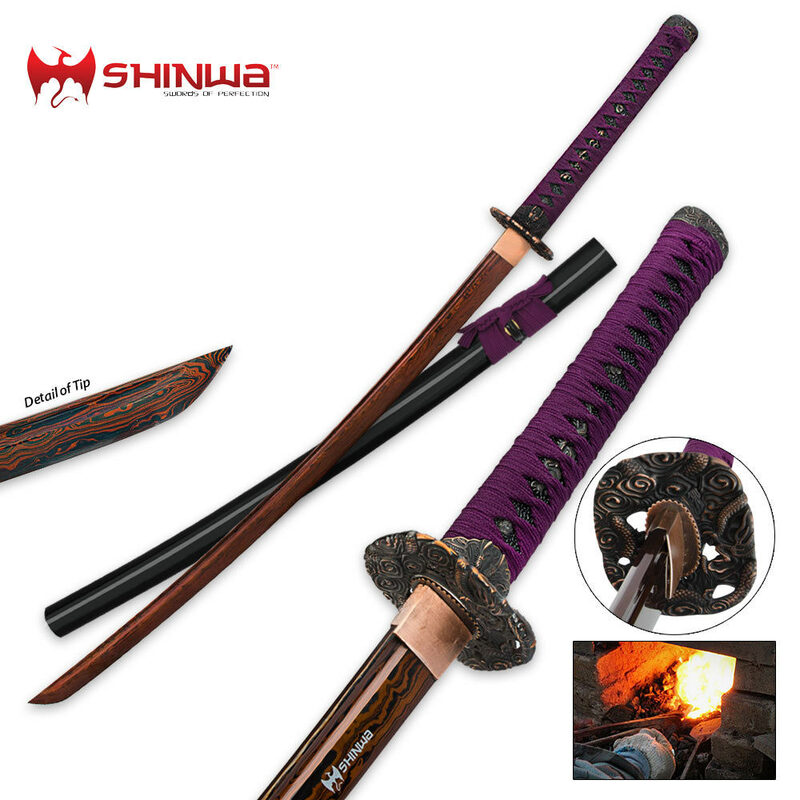 The Shinwa Regal is one of the finest swords you will ever own. It's not just the beauty of the blade or entire sword it's also a very strong and powerful sword. 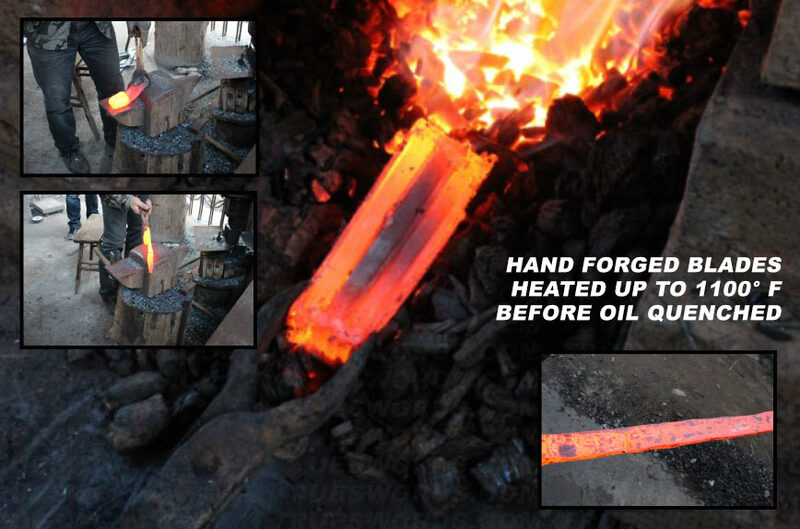 Just so you know the tang of the sword is not Damascus,this is normal Damascus steel takes so much time to produce they do not waist it on tangs,this includes Damascus knifes as well. You can't go wrong buying a Shinwa. Thank you Daniel of Nebraska.